The Peach Laundry Soap is formulated from pure palm oil and coconut oil containing optical brighteners and lemon perfume. As the basic raw material used in the manufacturing of Peach Laundry Soap is same as that of bath soap, it is safe on hands and can be used to wash delicate clothes. 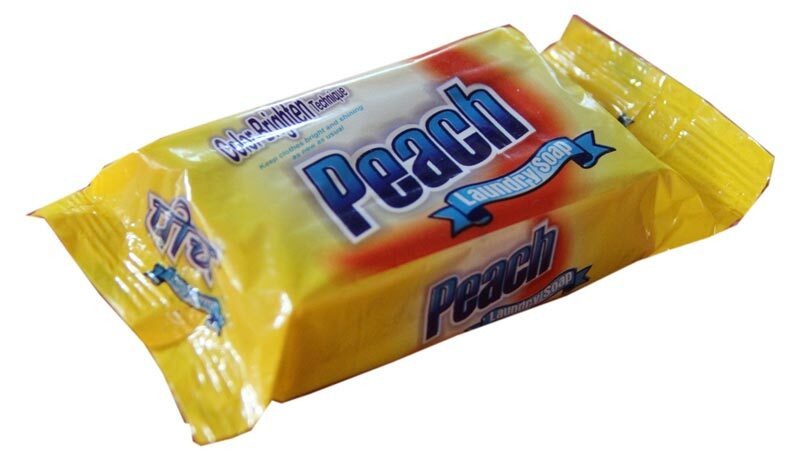 Peach Laundry Soap has outstanding cleaning properties which make it ideal to wash shirt necks and cuffs and to remove difficult stains.